Haniel's name means "the joy of God" or "the grace of God." Other spellings include Hanael, Haneal, Hamael, Aniel, Anafiel, Anaphiel, Omoel, Onoel, Simiel. Haniel appears in female form more often than in male form. People sometimes ask for Haniel's help to: develop and maintain harmonious relationships with God and other people, heal emotionally from stress and sorrow, discover creative inspiration for artistic projects, increase their productivity, enjoy humor, and find hope. Ultimately, Haniel helps people who are trying to find fulfillment find it through the joy of relationships with a loving God who wants the best for them. In art, Haniel is often depicted smiling or laughing, which illustrates her role as the angel of joy. She sometimes holds a rose, which symbolizes the joy and beauty of growing closer to God in a loving relationship with him. Haniel also is sometimes shown carrying a lit lantern, which represents how joy has the power to bring light into any circumstances, no matter how dark they may be. Dark green or bluish white. The Zohar, the holy book of the mystical branch of Judaism called Kabbalah, names Haniel as the archangel who is in charge of "Netzach" (victory) on the Tree of Life. In that role, Haniel helps people be victorious over their challenging circumstances. She gives them the confidence they need to trust God in any situation, expecting God to bring good purposes out of even the most difficult challenge. Haniel urges people to rely on God (who never changes) rather than on their emotions (which constantly change), so they can be joyful in relationships with a loving God, even when they're not happy about their current circumstances. Another way that Haniel helps people achieve spiritual victory is by delivering enlightening messages from God to people's minds. Haniel sends fresh ideas to people for creative projects, solving problems, and learning lessons. Haniel is usually credited as the angel who transported the prophet Enoch to heaven in the Book of Enoch, where various archangels (including Michael and Raphael) gave him a heavenly tour before he became the archangel Metatron. During the tour, Haniel unlocked the various different levels of heaven to help Enoch grow in wisdom. Haniel is one of the chief angels who rules over the order of angels called the principalities. The principalities work to influence the people leading the various nations on earth to make decisions that reflect God's will. Principality angels encourage people to pray, teach people about the arts and sciences (and help them concentrate on those lessons and apply them in practical ways), send creative ideas into people's minds, and help leaders around the world lead people wisely. 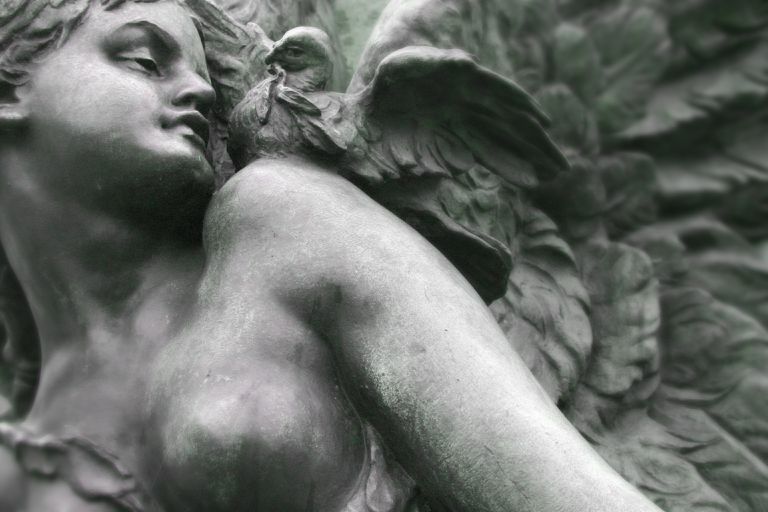 Haniel and her fellow principality angels have inspired people throughout history to advance human civilization through all professional fields of work, from composing beautiful music to inventing new and miraculous medical treatments. In astrology, Haniel rules the planet Venus and is linked with the zodiacal sign Capricorn.